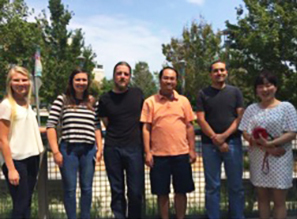 These researchers received grant funding from the American Hearing Research Foundation in 2018. Read about their studies. This research will look at the role of the body’s complement system in lupus-related hearing loss—with the goal of identifying potential therapeutic targets that can alleviate hearing loss in lupus patients. A Research Professor at the State University of New York (SUNY) at Buffalo, Jessy Alexander, PhD, has more than 20 years of research experience in neuroscience, immunology, inflammation, metabolism, genomics, and proteomics. She has published 60 papers and 13 reviews in neuroscience, nephrology, immunology, and gene regulation. Alexander serves as an ad hoc grant reviewer for the National Institutes of Health (NIH), the Israel Research Foundation, MRC, and the German Research Foundation. She also reviews manuscripts for several journals and has chaired sessions and given invited talks at several international conferences. Systemic lupus erythematosus (SLE), commonly known as lupus, affects 13-to-39 of every 100,000 people. Women are nine times more likely to be affected than men. Lupus affects different organs, including the auditory system. Hearing loss typically occurs between 15 and 45 years of age and lowers quality of life. The current treatment for lupus-related hearing loss is corticosteroid treatment, which has toxic side effects. Therefore, there is an urgent need to develop new biomarkers and therapeutic treatments. The complement system, a complex of more than 30 proteins, is an important arm of the body’s defense that helps eliminate infectious microorganisms. The complement system is strictly regulated to prevent host tissue injury and inflammation. New research shows that complement proteins participate in precise brain development. Further, it efficiently recognizes and controls the elimination of damaged cells, thereby preventing inflammation and ensuing autoimmune tissue damage. Recent studies indicate that complement proteins are associated with hearing loss due to ear infections and lupus. New drugs that inhibit the complement system for the treatment of age-related macular degeneration have advanced to clinical trials. Other FDA-approved drugs are currently marketed as a therapy for paroxysmal nocturnal hemoglobinuria and are now in pre-clinical trials for other complement disorders. More promising therapies that suppress the complement system include small molecules that inhibit C3 cleavage and C5a receptor antagonists. Because the complement system is also necessary to maintain health, it’s necessary to identify complement products in each setting that could serve as effective therapeutic targets. In line with this need, this proposal will attempt to understand the role of the complement system and associated changes in hearing loss in a setting where complement activation occurs. The laboratory of Jessy Alexander, a complement and lupus expert, will join hands with the laboratory of Richard Salvi, an expert in hearing, to study the role of the complement system in lupus-related hearing loss with the goal of identifying potential therapeutic targets that can alleviate the hearing loss in lupus patients. This is important because identifying complement targets and optimizing their delivery to the organs of interest in particular clinical settings have important clinical translational significance. This project tackles a common challenge that ear surgeons face when removing cholesteatomas. In an effort to eliminate the need for multiple surgeries, this research is looking at the safety, efficacy, and feasibility of a new method of high-resolution contrast-enhanced microendoscopy to reduce the risk of leaving any cholesteatoma behind in initial cholesteatoma surgery. 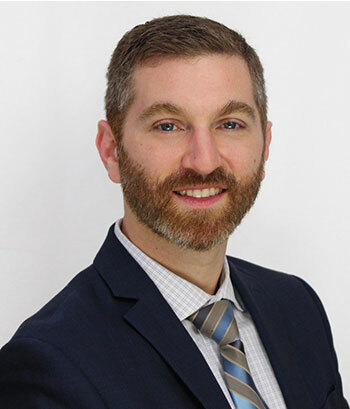 Simon I. Angeli, MD, is a Professor of Clinical Otolaryngology, Director of the University of Miami Ear Institute, and Neurotology Fellowship Director at the University of Miami. As a practicing Neurotologist for more than 25 years, Dr. Angeli has published in numerous peer-reviewed journals, served as editor for several publications, and is a frequently invited guest to give talks and chair panels in both national and international conferences. Enrique R. Perez, MD, is the current Neurotology Fellow in the Department of Otolaryngology Head and Neck Surgery at the University of Miami Miller School of Medicine. He is completing his second year of training and is a graduate from the Mount Sinai Icahn School of Medicine Otolaryngology Residency. 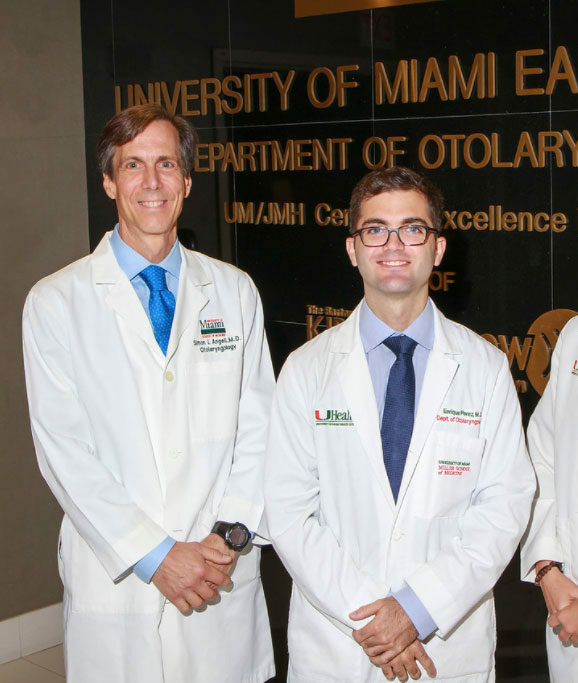 Perez will be pursuing a full-time Neurotology academic practice where he plans to continue the work he has started at the University of Miami Ear Institute. He has published in several peer-reviewed journals. Frequent infections of the ear in some individuals can lead to the development of a cyst known as a cholesteatoma. Cholesteatomas grow behind the eardrum and often become infected. Over time, they may destroy the structures in our ear that help us hear. Surgery is the only way to correct the problem. Otologists, or ear surgeons, often have trouble removing the entire wall of a cholesteatoma cyst in the operating room, and it is common to see cholesteatomas come back. Hence, otologists often bring patients back to the operating room for a “second look” surgery to make sure the entire cholesteatoma has been removed. Our research involves the development of a new method to reduce the risk of leaving any cholesteatoma behind, using a fluorescent solution (Proflavine) that lights up the cholesteatoma. This new technique has never been tested in animals or humans, and its safety and efficacy need to be investigated. Therefore, our research team has designed several studies to test how safe and effective it is to use Proflavine in the ear. Genetic factors are responsible for about half the cases of hearing loss in newborns. But research shows that children born with normal hearing also can inherit genes that put them at increased risk for hearing loss as they get older. 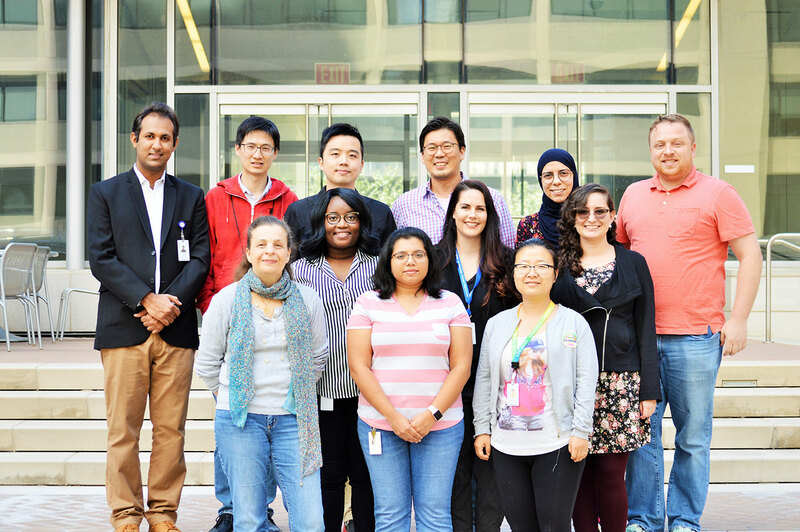 These researchers will develop a model for in-house genetic screening for pediatric hearing loss to reduce turnaround times so medical centers can make the greatest use of such testing. When healthcare providers understand the genetic mechanisms behind hearing loss, they can provide better counseling on prognosis, treatment options, and avoiding risk factors that may increase hearing loss over time. Karl Doerfer, MD, is a resident physician in the Department of Otolaryngology & Communication Sciences at the Medical College of Wisconsin Affiliated Hospitals in Milwaukee. He earned his MD at Northwestern University. 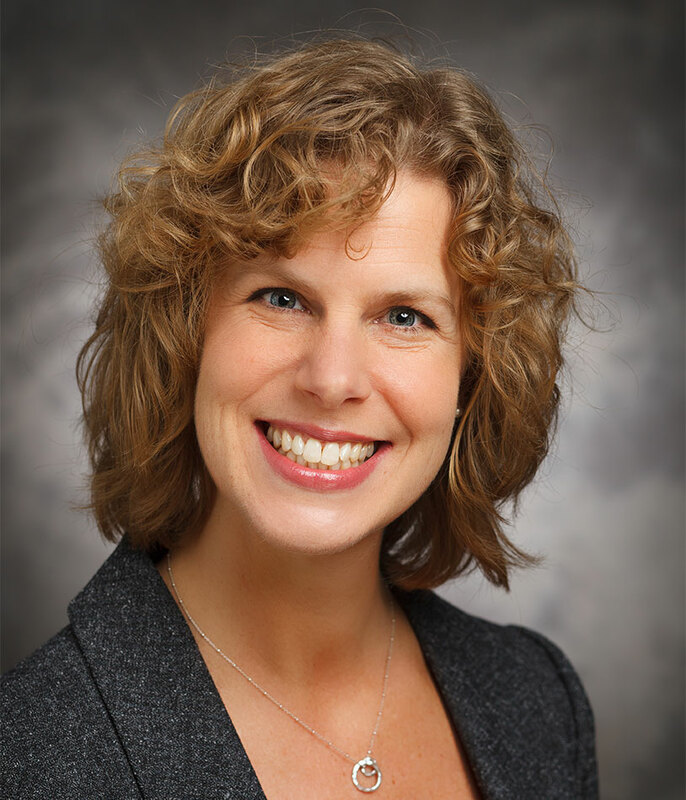 Christina Runge, PhD, is a Licensed Audiologist and an Associate Professor and Chief of the Division of Communication Sciences at the Medical College of Wisconsin. She also is the Director of the Koss Cochlear Implant Program at the medical college. Her previous research has been published in numerous peer-reviewed journals. Approximately 1-to-2 out of every 1,000 children are born with hearing loss, and genetic factors are responsible in approximately 50% of cases. Research also shows that children who are born with normal hearing can inherit genes that place them at risk for hearing loss as they get older. For example, some genes increase risk for hearing loss from head trauma, some from specific medications, and others from certain environmental exposures. Nearly all infants are screened for hearing loss within the first month of life. Screening allows healthcare providers to confirm hearing loss with additional diagnostic testing and to intervene, when appropriate, with treatments, such as hearing aids and cochlear implants. However, screening and diagnostic tests may miss children with mild forms of hearing loss, and they do not provide information about the underlying causes of a patient’s hearing loss. They also cannot identify children with normal hearing who inherit genes that put them at risk for hearing loss as they get older. Genetic testing is beginning to change this. Using genetic analysis, we can often identify which genes are responsible for hearing loss. We also can identify some children who are at risk of losing hearing as they age. When healthcare providers understand the genetic mechanism of a patient’s hearing loss, they can provide better counseling and guidance to a child’s parents about treatment options, prognosis, and avoiding risk factors that may increase hearing loss over time. While genetic testing is very promising and increasingly affordable, it can be very time-consuming. Currently, it can take several months to obtain results. To address this problem, Children’s Hospital of Wisconsin, in partnership with AHRF, developed an in-house protocol to perform genetic testing for hearing loss. Our goal is to provide a model that other medical centers can use to optimize such testing. When we analyzed our data, we found that we were able to reduce turnaround times from an average of 54 days to 19 days. We also found that certain hearing test results were associated with increased rates of positive genetic testing. These findings are relevant to medical centers who hope to expand the role of genetic testing for pediatric hearing loss: They demonstrate that genetic testing can be done quickly, reducing delays in diagnosis and expediting treatment. They also show that certain simple hearing tests can help identify children who are likely to benefit from genetic testing. We’re hopeful that our efforts can help expand the role of genetic testing for pediatric hearing loss and improve care for this patient population. This research uses mouse models to understand the mechanism by which sensory progenitors develop and expand during life development. Progenitors are precursor cells from which sensory hair cells—which are essential for hearing—develop. That knowledge could potentially be used to create new strategies to repair or replace damaged sensory hair cells. Specifically, this project explores the mechanisms by which 2 proteins—FGF9 and FGF20—regulate sensory progenitor development. 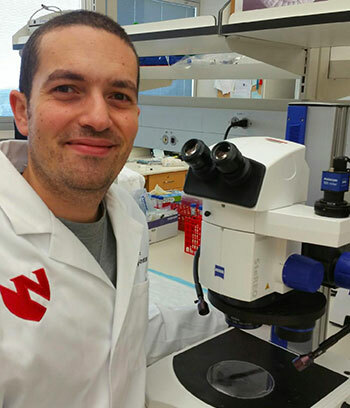 Interested in the biology of the inner ear, Michael M. Ebeid, MBBCh, PhD, is a Postdoctoral Research Associate in the Department of Developmental Neuroscience at the Munroe Meyer Institute for Genetics and Rehabilitation at the University of Nebraska Medical Center in Omaha. He received his PhD in Biomedical Sciences from the Creighton University School of Medicine. Ebeid holds his MS in Human Anatomy and Embryology from the Assiut University School of Medicine in Egypt. He also received his Bachelor of Medicine and Bachelor of Surgery from the Assiut University School of Medicine. Earlier in his career, Ebeid worked as a general practitioner physician at El Ensanneya Hospital in Assiut, Egypt. He has published past research in several peer-reviewed journals. The inner ear is responsible for hearing and balance. It contains a spiral-shaped structure called the cochlea that includes sensory cells (also called hair cells) responsible for converting sound waves to electrical signals. These cells are vulnerable to damage due to loud noise, aging, and/or some medications. Once damaged, hair cells are not replaced, causing permanent hearing loss. Current research efforts aim at developing strategies to protect or replace damaged hair cells. Studying development can provide important clues for regeneration. In embryo, hair cells develop from precursor cells called progenitors, and the ultimate length of the cochlea is determined by the number of these progenitors. In a previous study, our lab showed that two proteins, called FGF9 and FGF20, work together to regulate the number of progenitor cells, and thereby the cochlear length. These proteins are produced at an early stage of development and signal to specific cells containing receptors that are activated by these proteins. Our current research aims at exploring the mechanisms by which these 2 proteins (FGF9 and FGF20) regulate sensory progenitor development. We are using mouse models carrying mutations within these 2 proteins or their receptors to investigate the downstream effects of such mutations on the development of cochlea. Our goal is to understand the mechanism by which sensory progenitors develop and expand during development and then utilize such knowledge to develop new strategies to repair or replace sensory hair cells. 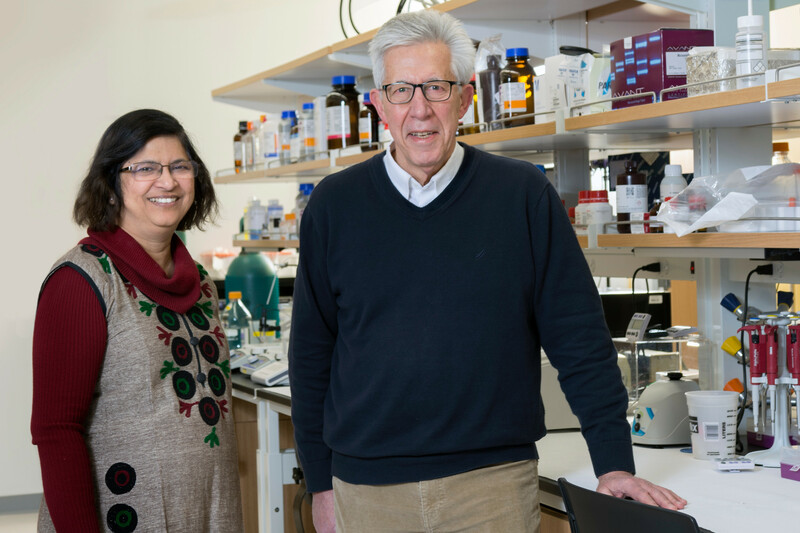 The goal of this research is to identify crucial genes and cells involved in familial Meniere’s disease in order to generate the first human cellular models of Meniere’s disease—with the hope of impacting the development of therapies for the progressive condition. With this AHRF grant, the researchers will generate preliminary data for a full-size National Institutes of Health (NIH) grant. Currently a Professor in the Department of Anatomy & Cell Biology at the College of Medicine at the University of Illinois at Chicago (UIC), Anna Lysakowski, PhD, is a highly accomplished researcher and a leader in the fields of neuroscience and anatomy. 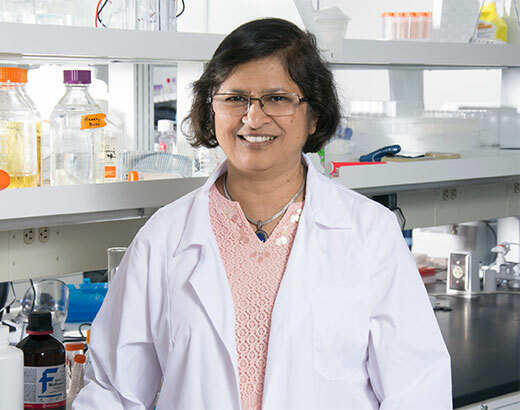 She has been a research grant recipient from the National Institutes of Health (NIH), the National Aeronautics and Space Administration (NASA), and other institutions. Lysakowski holds her PhD in Anatomy from UIC and received additional training at the University of Chicago and its Marine Biological Laboratory (MBL) in Woods Hole, Massachusetts. Ménière’s disease is a complex disorder of the inner ear characterized by episodes of vertigo, fluctuating and progressive low-to-middle frequency sensorineural hearing loss, and roaring tinnitus—symptoms that often lead to chronic dizziness. It afflicts as many as 1 in 1,000 Americans, and it has a strong genetic predisposition with a familial clustering in 9% of cases in populations of European descent. Although a subset of Meniere’s disease patients may respond to immuno-suppressants and corticosteroids, the majority of patients progress to severe deafness in the involved ear. Bilateral Meniere’s disease has a highly significant impact on quality of life and may be involved in up to 40% of Meniere’s disease patients. Human inner ear tissue is difficult to obtain, so progress towards a directed treatment will depend upon genomics-based approaches to identify the genes and pathways involved in Meniere’s disease patients and the development of cellular and animal models to increase the understanding of Meniere’s disease. Recently, we identified and validated five novel mutations in familial Meniere’s disease by whole exome sequencing—but their roles in hearing and balance are unknown. The purpose of this small grant proposal is to generate preliminary data for a full-size National Institutes of Health (NIH) grant. The current proposal, to be undertaken at UIC, will focus on two of three aims. Aim 1 is to localize, at both the confocal and ultrastructural levels, the proteins encoded by these genes in the mouse cochlea and vestibular system with immunohistochemistry, using fluorescent confocal microscopy and immunogold EM. Aim 2 is to validate the antibodies used in Aim 1 in knockout mice specific to those gene products, with the eventual goal of establishing a mouse model for each target protein. Aim 3, a future direction, is to generate human cellular models of Meniere’s disease using patient-derived induced pluripotent stem cells (iPSCs). Aim 3 will be done in collaboration with our colleagues in Spain, who have gathered the preliminary data related to this project from a large population of Meniere’s disease patients. In summary, we expect to identify crucial genes and cells involved in familial Meniere’s disease to generate the first human cellular models of Meniere’s disease. The combined structural, stem cell-based, and gene therapy approaches of the entire project will significantly impact the development of therapies for Meniere’s disease. The structural studies proposed in this application are fundamental for determining the localization of genes identified by the other approaches. This project seeks to determine the auditory function of outer hair cell afferents, which have proven difficult to study but may play a role in protecting outer hair cells against death. Because outer hair cells are essential for hearing, better understanding the purpose of these afferents could potentially help researchers identify therapeutic means for protecting the outer hair cells in people at risk for hearing loss. 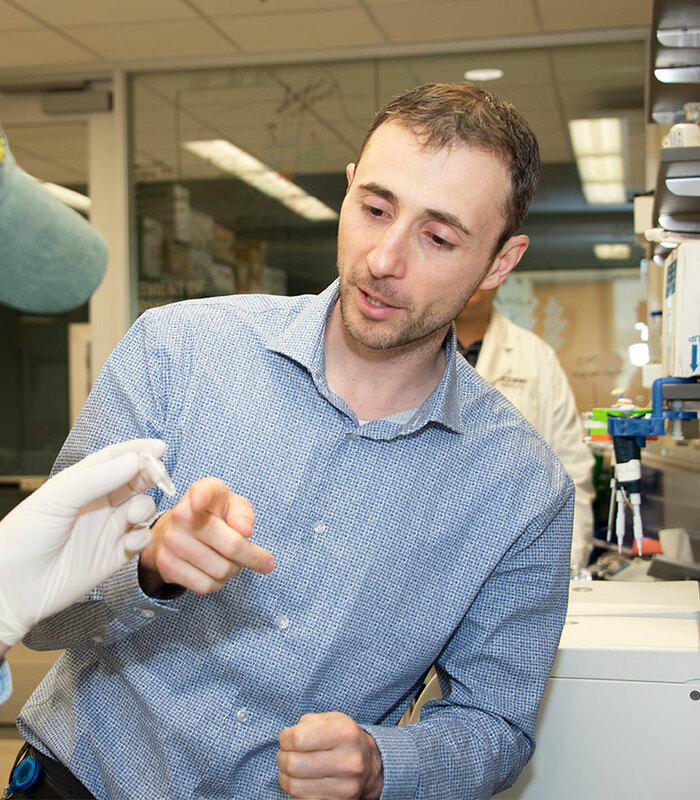 An Assistant Professor of Neuroscience at UConn Health, David C. Martinelli, PhD, has a strong interest in understanding the molecular logic of how synaptic adhesion proteins, in a defined brain circuit, orchestrate synaptic formation, modification, and function, and how these events influence behaviors. Martinelli received his postdoctoral training in Neuroscience at Stanford University and received his PhD in Developmental Biology from Johns Hopkins University and Carnegie Institute for Science. He earned his BS in Molecular Genetics at the University of Rochester. Martinelli’s research has been published in several peer-reviewed journals. And he has received several honors and awards for his work. This project aims to better understand our sense of hearing, which allows us to communicate with each other by receiving sounds and interpreting speech. Within the inner ear is a structure called the cochlea, which contains two types of cells: inner hair cells and outer hair cells. These cells are specialized sensory cells that have tufts of hair-like protrusions on their surfaces. A sound wave entering the cochlea causes the hair-like protrusions to bend, stimulating the hair cell to send electrical signals to the brain. A type of neuron that sends sensory information from the periphery into the brain is called an ‘afferent.’ Communication from the inner hair cells via their afferents into the brain is well understood to be primarily responsible for our sense of hearing. Outer hair cells are understood to have an indirect activity, contained within the cochlea: they have the ability to boost the sound wave for the benefit of the inner hair cells. This is referred to as ‘cochlear amplification.’ Essentially, outer hair cells allow us to hear low-level sounds that we otherwise couldn’t. The outer hair cells are particularly susceptible to death as a result of loud noise exposure, certain medications, and/or aging. This is problematic, as hair cells don’t regenerate, resulting in a common form of permanent hearing loss. Outer hair cells also have afferents that appear to be able to transmit information into the brain; however, the function of these afferents has been mysterious for decades. The outer hair cell afferents only transmit information to the brain when sound in the cochlea is already quite loud, perhaps greater than 85 decibels. We propose three possible functions of the outer hair cell afferent: 1) they have the ability to regulate the activity of outer hair cells as they function in cochlear amplification; 2) they provide a mechanism, perhaps resembling a reflex, to protect the fragile outer hair cells from death when loud sound is in the cochlea; or 3) they mediate a sense of auditory pain, informing the brain when sound levels are approaching dangerous levels. The outer hair cell afferents have proven to be very difficult to study. We propose to study the outer hair cell afferents in mice, using a completely novel genetic approach designed to selectively prevent the outer hair cells from transmitting any information to the outer hair cell afferents. Using the newly created mice, we will be the first to begin to address the possibilities proposed above. The most exciting outcome would be if the outer hair cell afferents are shown to have a function in the protection against outer hair cell death. If true, then it would suggest that this system could be manipulated for therapeutic benefit, to protect the hearing of those at risk for hearing loss. These Duke University researchers are focused on making it easier for cochlear implant users to understand speech in a wider variety of listening environments. Specifically, they’re exploring a novel way to optimize cochlear implant sound processor configurations. First, they will record neural responses in the brains of cochlear implant users listening to speech. Then, they will use these neural responses as a guide to re-program the cochlear implant to enhance its performance—potentially improving speech comprehension while eliminating the need for cochlear implant users to schedule lengthy appointments for repeat adjustments. 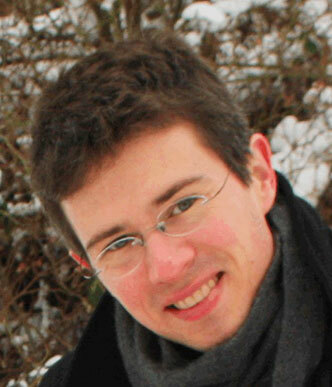 Tobias Overath, PhD, is an accomplished researcher and currently an Assistant Research Professor at the Duke Institute for Brain Sciences at Duke University. He earned his PhD in Neuroscience from University College London at the Wellcome Trust Centre for Neuroimaging; his MSc in Neuroscience (with Distinction) from the University; and his MA in Musicology from Humboldt University Berlin and Free University Berlin. 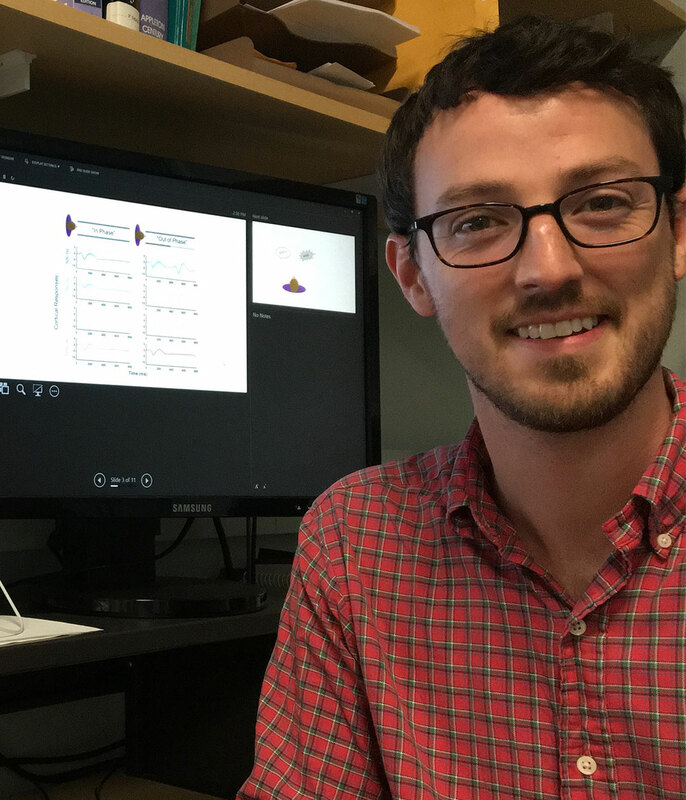 He has received research grants from Duke University and the National Institutes of Health (NIH) for other research and has earned multiple scholarships and awards. Much of his work has been published in peer-reviewed journals and presented at professional conferences. Josh Stohl, PhD, is an Adjunct Assistant Professor in the Department of Electrical and Computer Engineering at Duke University and the Director of the North American Research Laboratory at MED-EL Corporation, where he conducts basic and applied research to produce advances in hearing implant technology. He earned both his PhD and MSEE in Electrical and Computer Engineering at Duke University, and his BS in Electronics Engineering Technology at the Univesity of North Texas. 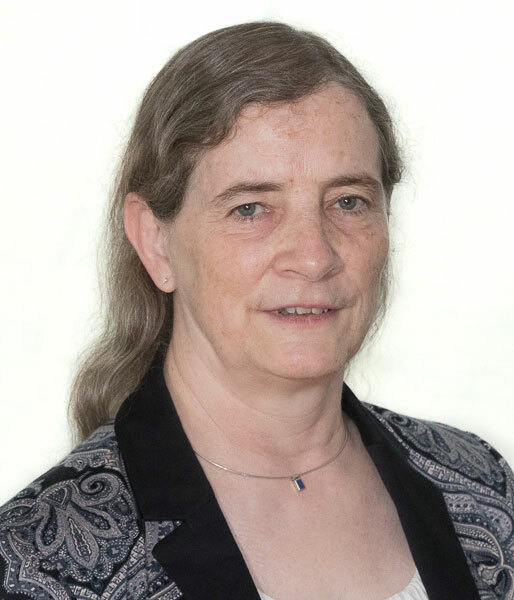 Leslie Collins, PhD, is a Professor in the Department of Electrical and Computer Engineering at Duke University with particular expertise in signal processing. She earned her PhD in Electrical Engineering and Computer Science from Duke University and her BSEE in Electrical Engineering from the University of Kentucky. 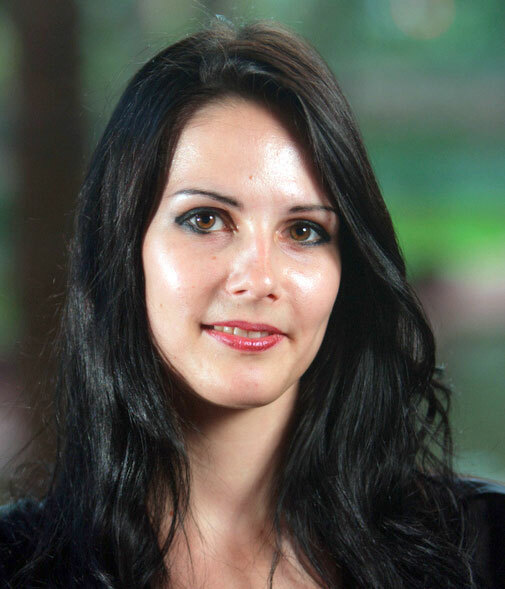 She has worked in Research and Development for Westinghouse and currently consults, providing expert data analysis and custom algorithm design, with expertise in machine learning and pattern recognition techniques. She also is active in promoting the value of engineering education and careers by serving on the Educational Foundation Board of the National Society of Professional Engineers (NSPE) and as Executive Director of DiscoverE. 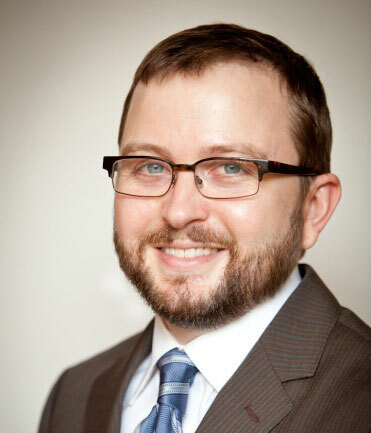 Michael Murias, PhD, is an Assistant Research Professor at the Duke Institute for Brain Sciences at Duke University and directs the Neurophysiology Laboratory at the Duke Center for Autism and Brain Development. He earned his PhD in Cognitive Sciences from the University of California, Irvine, and completed his postdoctoral training in Developmental Cognitive Science at the University of Washington. His work has been published in a number of peer-reviewed journals. For the approximately 1.5 million Americans who are deaf in at least one ear, the cochlear implant is the most successful sensory prosthetic implant to help them regain hearing. However, while some of the approximately 500,000 people in the United States with cochlear implants achieve near-perfect speech comprehension in ideal listening situations, others continue to struggle and require lengthy appointments to have their cochlear implants programmed. This project aims to optimize cochlear implant configuration by recording neural responses in the brains of cochlear implant users while they listen to speech. These neural responses may then be used as a guide to re-program the cochlear implant to enhance the implant’s performance, reducing the need for repeat adjustments. This project focuses on identifying genes involved in rare ear malformations in children—an area of hearing loss that, to-date, has been largely overlooked by genetic studies. The research will use an integrative next-generation sequencing approach to study rare abnormalities in cochleovestibular anatomy. The ultimate goal is to identify genes involved in rare, nonsyndromic congenital inner ear malformations in children. 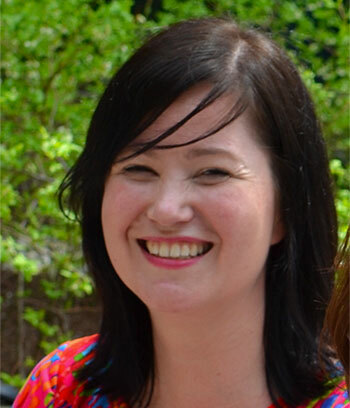 An Assistant Professor in Molecular & Human Genetics at Baylor College of Medicine in Houston, Texas, Isabelle Schrauwen, PhD, earned both her PhD in Genetics and her MS in Biomedical Sciences at the University of Antwerp in Belgium. She specializes in molecular biology and neuroscience, with particular interest in rare pediatric disorders and hereditary hearing loss. She focuses on the identification of key pathways and pathogenic mechanisms. She has served on the review boards of several peer-reviewed journals and has published extensively. 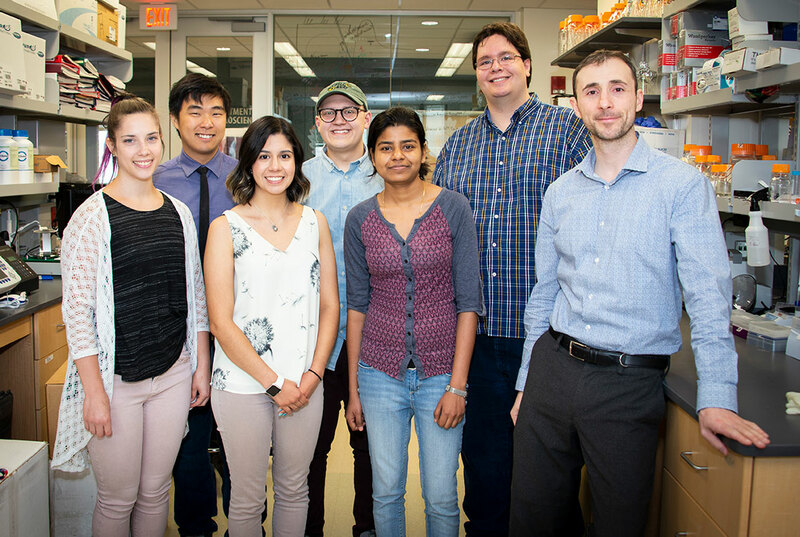 Schrauwen also is on the adjunct faculty of the Translational Genomics Research Institute (TGen), a non-profit focused on research to unravel the genetic components of complex diseases. 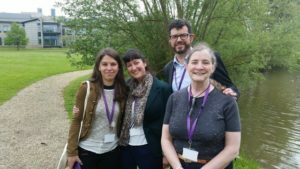 This project aims to study the molecular basis of rare ear malformations in children. Genetic studies of sensorineural hearing loss have been the focus of many geneticists in the last decades. Though this has educated us tremendously about the inner ear and hearing in health and disease, rare abnormalities in cochleovestibular anatomy can also have a devastating impact on hearing and language development. These latter have so far been overlooked by genetic studies. In the era of next-generation sequencing, and with the increasing sensitivity of imaging techniques, rare ear malformations are now easier to identify and characterize. To elucidate the pathogenic mechanisms responsible for rare ear anomalies in children, we will use an integrative next-generation sequencing approach based on DNA and RNA sequencing. Each of these individuals can provide a unique and invaluable insight into the development of the ear or the normal hearing process. In addition, abnormalities in cochleovestibular anatomy can provide challenges for cochlear implantation, and a genetic diagnosis and understanding of the molecular basis might help with identifying the correct therapeutic intervention for unique affected individuals. Overexposure to sound can damage the auditory system in ways that aren’t necessarily evident on standard hearing tests. 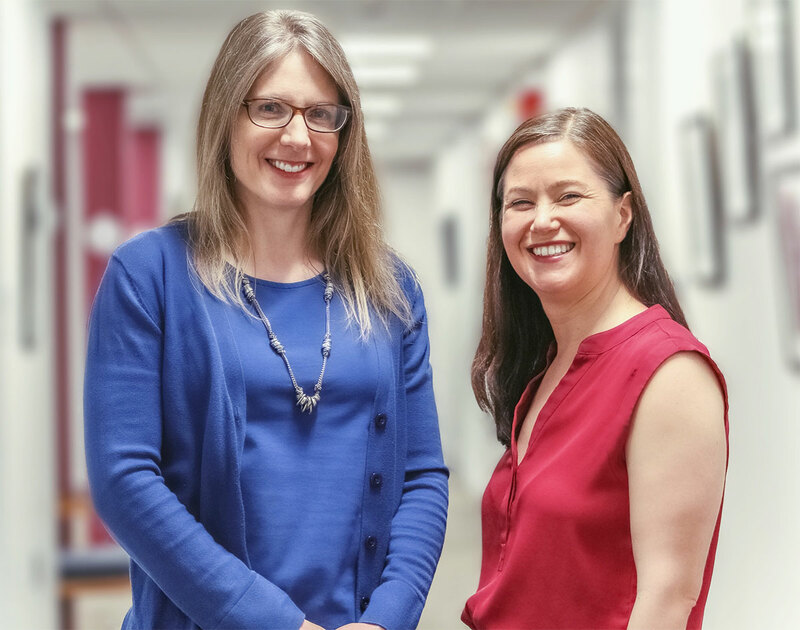 These researchers are looking at biological indicators of noise exposure in the clinically normal ear—with the long-term goal of developing a rapid screening method for detecting the very early stages of noise-induced damage to the auditory system. Such a screening method could potentially prevent further hearing decline through personalized audiological counseling and services. 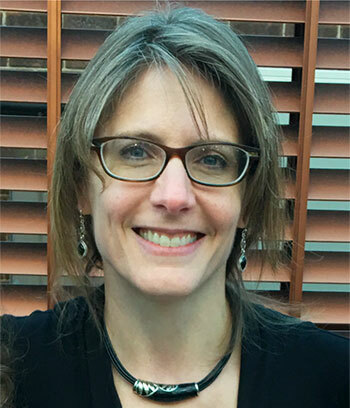 Erika Skoe, PhD, is an Assistant Professor in the Department of Speech, Language and Hearing Sciences at the University of Connecticut (UConn) whose work examines neuroplasticity within the auditory system across the lifespan. She is Founder and Director of UConn’s Auditory Brain Research Lab. Skoe received her PhD from Northwestern University. She has published extensively in peer-reviewed journals. And her work has been presented at many professional conferences and featured in the mainstream media. 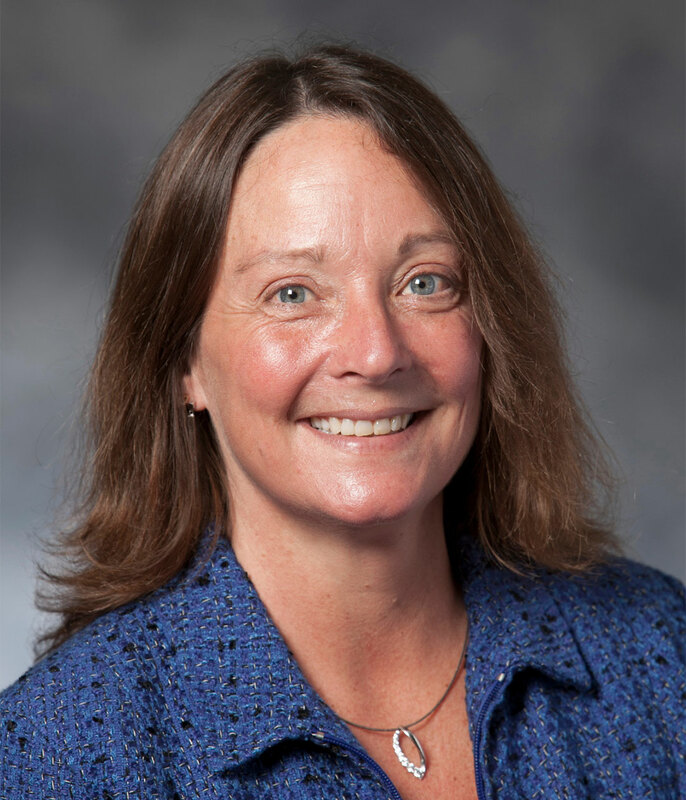 Jennifer Tufts, PhD, CCC-A, is an Associate Professor of Audiology in the Department of Speech, Language and Hearing Sciences at UConn. Her research focuses on hearing protection and enhancement devices, auditory fitness for duty, and music perception and hearing loss. Her research also has been funded by the Department of Defense, the National Institute of Occupational Safety and Health, and Phonak Communications AG. Tufts is a past president of the National Hearing Conservation Association. Many individuals are routinely exposed to high-intensity sound as part of their occupational and/or leisure activities. Both chronic and short-term overexposure to sound can damage the auditory system in ways that are not necessarily evident on a standard hearing test. The long-term goal of our multi-lab collaboration is to develop a rapid screening method for detecting the very early stages of noise-induced damage to the auditory system. Development of a clinical screening method could potentially prevent further decline of peripheral and/or central function through individually tailored audiological counseling and services. With this goal in mind, we will repeatedly measure noise exposure and auditory system function in young adults over a four-month timeframe. Individuals’ sound exposure levels will be measured using a noise dosimeter, a small sound-level meter worn by each participant. We will be tracking fluctuations in auditory system function during high and low points of noise exposure, using a test battery that includes auditory brainstem responses, high-frequency audiometry, and circulating blood levels of prestin, a protein associated with inner ear function. This combination of auditory assessments will provide new insight into the time course of noise-induced damage to the auditory system. Middle-aged adults who show normal hearing thresholds, or only mild hearing loss, often complain about difficulty understanding speech in noisy environments (speech-in-noise). These complaints often are disproportional to what their hearing tests indicate. This research focuses on people in middle age and looks at the relationship between binaural hearing (the ability to hear equally well with both ears) and the ability to understand speech-in-noise. The long-term goal of this research is to understand how binaural hearing acuity influences real-world speech perception and to develop practical tests of binaural hearing function. Objective, easy-to-administer clinical tests would improve diagnostics and help optimize binaural hearing aid and cochlear implant fittings. and the Washington University School of Medicine in St. Louis for other research. A common complaint reported by middle-aged patients seeking audiologic services is an emergent decline in speech-in-noise (SIN) perception. Paradoxically, many of these patients demonstrate normal hearing thresholds or mild hearing loss that is incommensurate with the severity of their complaints. The standard audiologic test battery fails to provide these patients with answers regarding the etiology of their deficits and leaves audiologists with no objective information upon which to base counseling and treatment recommendations. To improve the standard of hearing care for these patients–a key goal of AHRF–more sophisticated and easily implementable clinical tools are needed. Over the past decade, advances in hearing science have led to more sophisticated tests to understand potential SIN deficits, including those that evaluate cochlear health, neural processing, and cognition. Surprisingly, binaural hearing—a key contributor to real-world SIN performance, requiring exquisite neural temporal processing ability —has yet to be incorporated into these clinical batteries. Recent evidence indicates that deficits in binaural hearing may begin in middle age (30-60 years) in parallel with the emergence of SIN complaints, supporting the idea that it might underlie some patients’ SIN deficits. 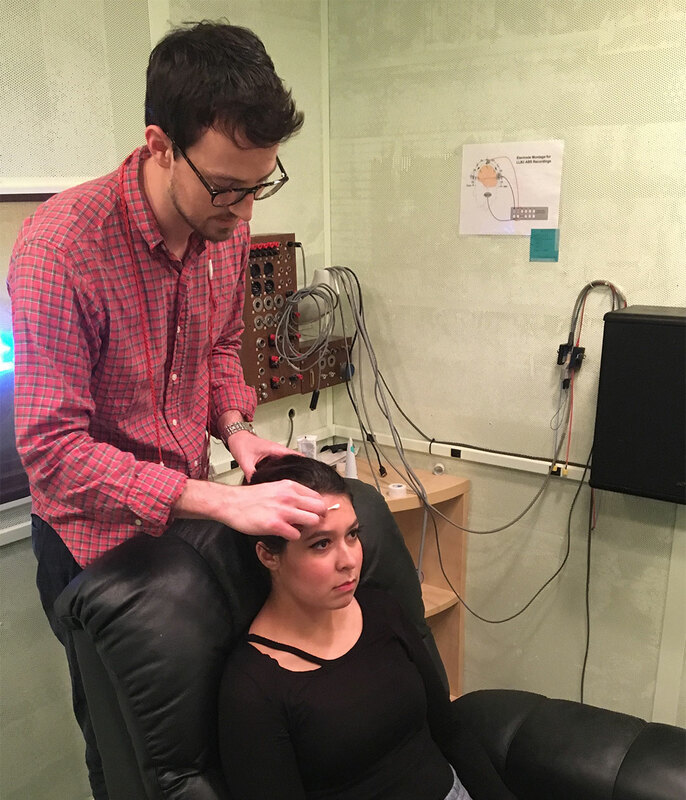 Despite a large experimental literature on psychophysical tests of binaural hearing, an efficient and reliable clinical assay of binaural hearing function currently doesn’t exist. The broad goals of this research are to: 1) develop objective (electrophysiologic) indices of binaural hearing acuity, and 2) investigate relationships between these indices and SIN performance. To achieve these goals, a comprehensive test battery, including auditory evoked potentials, will be used to examine neural processing of binaural timing cues to simple (tones) and complex (speech) stimuli in middle-aged adults. Further, the relationship between these measures and SIN perceptual performance on tests requiring binaural hearing will be investigated. The long-term goal of this research is not only to understand how binaural hearing acuity influences real-world perception, but also to develop easily administered objective clinical tests of binaural hearing function. Such tests would improve diagnostics and also be beneficial for verifying and fine-tuning binaural hearing aid and cochlear implant fittings.